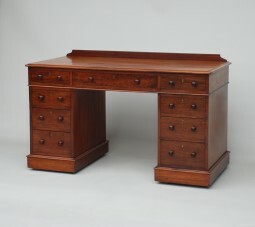 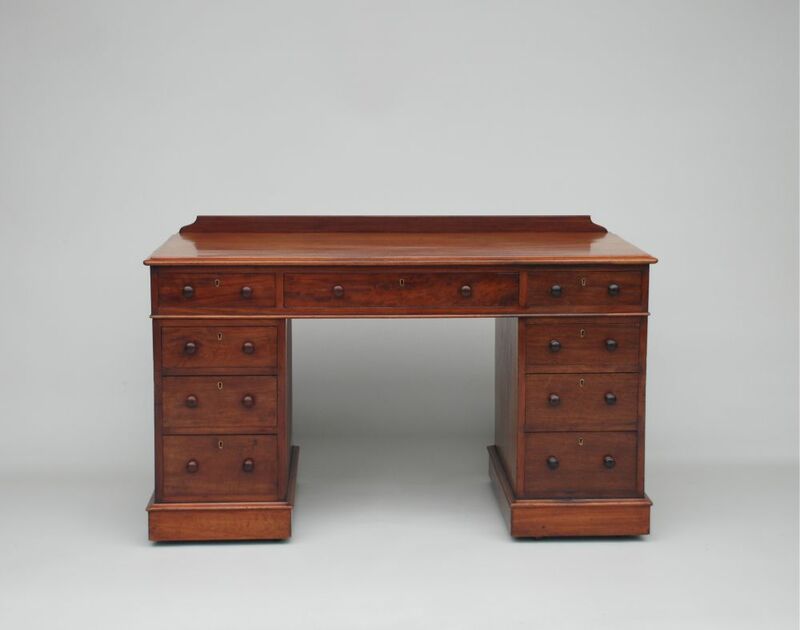 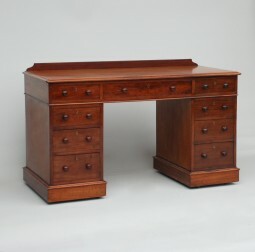 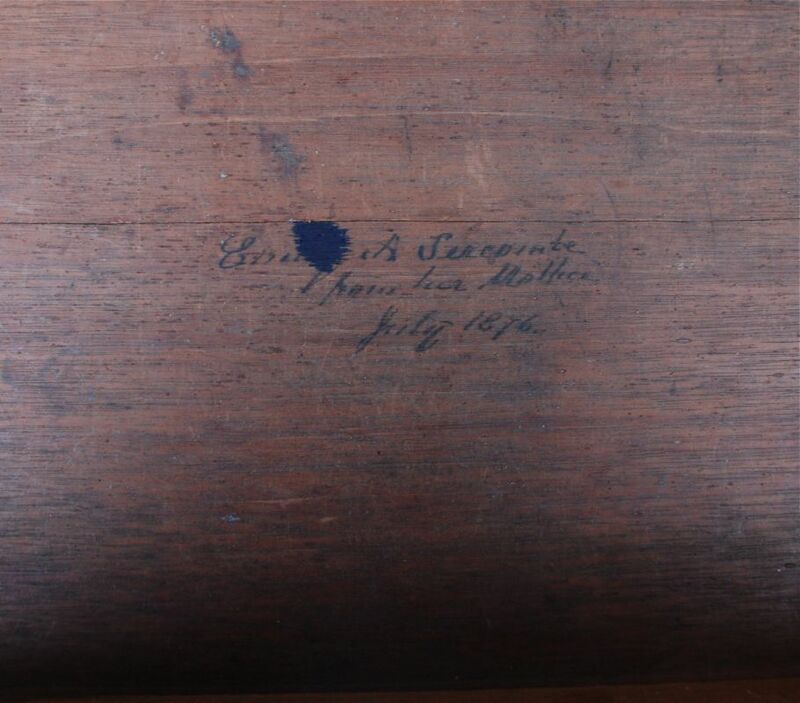 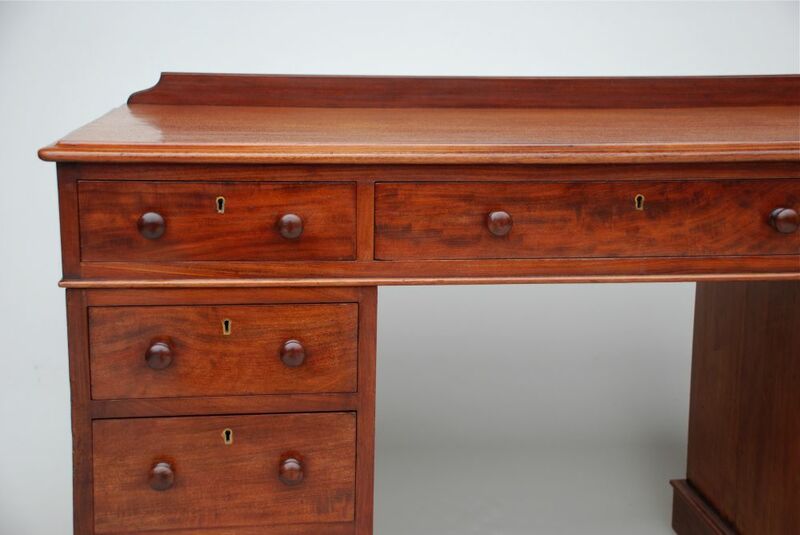 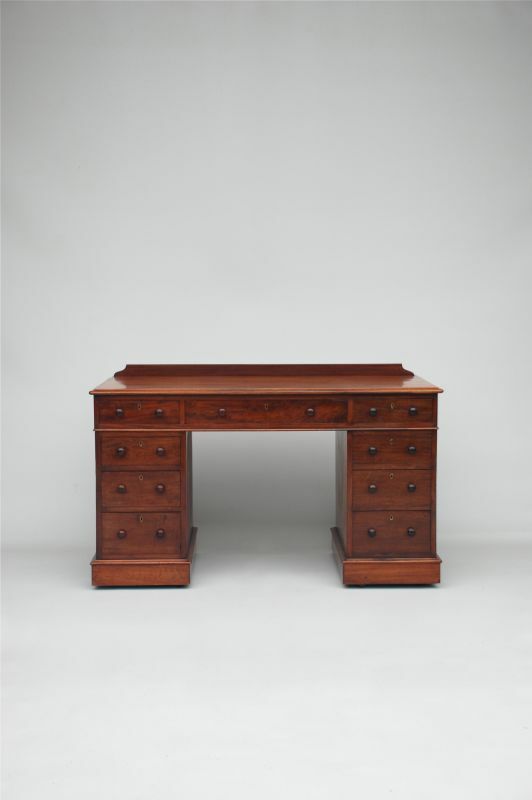 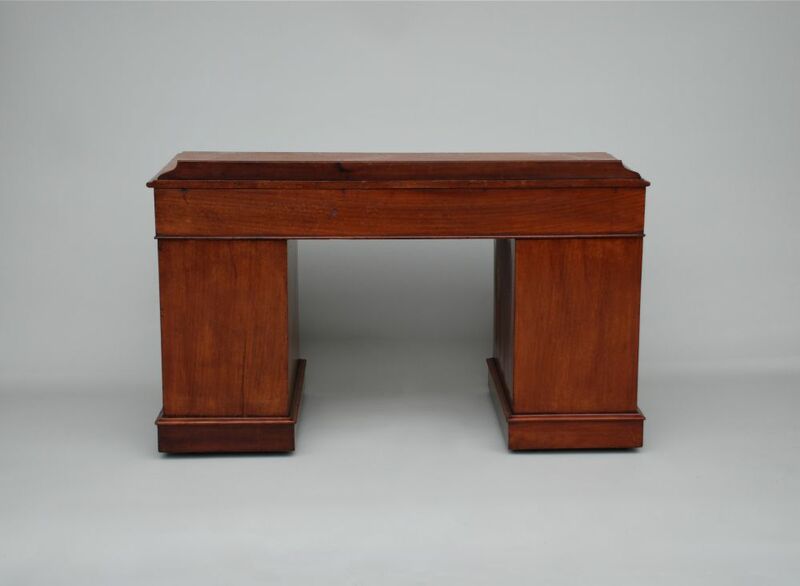 This is a beautifully proportioned desk, very well made in London by Maples, their label is on the side of a drawer. 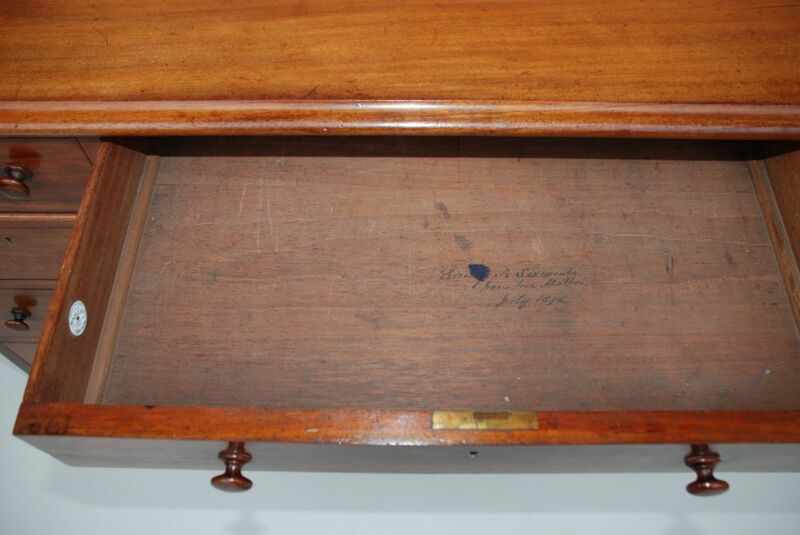 As you can see from the inscription written on the inside of the centre drawer, it was a present to Emily Sercombe from her mother in July 1876. 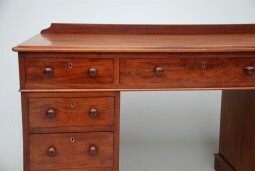 It is constructed in mahogany with figured veneers to the drawer fronts. The desk is thoroughly useful and practical, it has plenty of space to work with a computer. 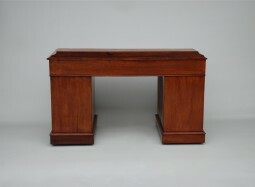 It is a typical pedestal desk in that it separates down to three pieces. 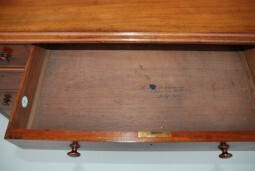 It is finished on all sides, so can be placed to face the room. 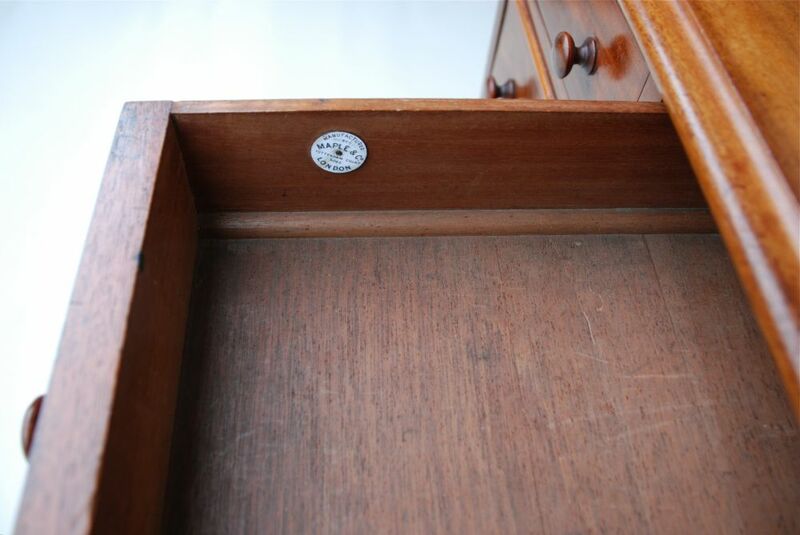 The desk is in very good condition and is supplied with a key. 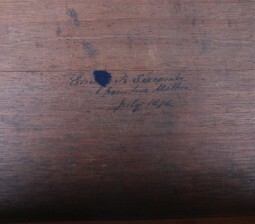 The measurements are 130 cm wide, 60 cm deep and 73 cm high. 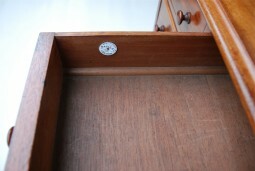 59 cm to top of kneehole.